Experience, Education and Commitment to Excellence in Dentistry. WEST ASHLEY, SOUTH CAROLINA Your Dental Home in West Ashley, S.C.
Our dentist office uses advanced digital technology. A commitment to continuing education in many aspects of dentistry. The best compliment is a happy patient with a healthy smile. Skill and experience for achieving the smile you desire. Convenience, consistency and complete care for smiles of all ages. Creating beautiful smiles in Charleston. Treatment options for damaged and missing teeth in West Ashley. Diagnosis and treatment for complex bite problems . Treatment options for straightening teeth including Invisalign. Periodontal therapy for the symptoms of gum disease. Sedation solutions for relaxing in our West Ashley dentist office. Frequent headaches may be a sign of a bite problem or TMJ. Dr. Dickert is an active member of the local Charleston community and offers comprehensive dental services for all ages in a warm, caring environment. He is committed to offering the highest standard, using the latest techniques. Dr. Lynn is a South Carolina native and graduate of the Medical University of South Carolina College of Dental Medicine. In addition to providing personalized dental care to her patients, she is a faculty member of MUSC College of Dental Medicine. A Charleston Invisalign provider for healthier smiles. Restore full function and natural aesthetics with dental implants. We offer nitrous oxide for patients with dental anxiety. Enhance your smile with cosmetic dentistry in Charleston. Education and disease prevention for long term oral health. West Ashley Family Dentistry is the best! We love Dr. Dickert!! He takes the time to explain in detail what's going on and has a refreshing conservative approach to treatment ... plus, he uses state-of-the-art technology and all of this makes us feel like we are getting the best care possible without being pressured into expensive procedures we may not necessarily need. Always great, friendly people, my teeth feel amazing!!! Dr. Dickert is an excellent dentist! He is extremely skillful, informative, and caring. His assistants and front desk staff are also as professional and caring as he is. I highly recommend this practice. 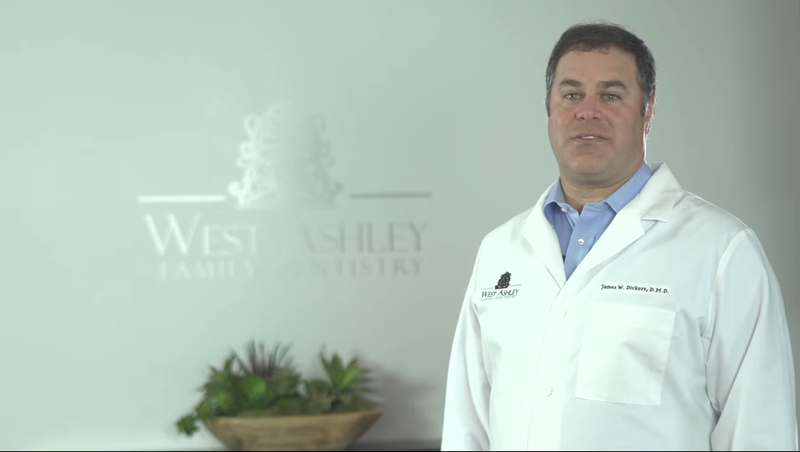 Welcome to West Ashley Family Dentistry serving the communities of greater Charleston, S.C..